Losing a furry family member is never easy as each pet carries a special place in our hearts. It is our honour to ensure this final visit to our hospital is one of love, compassion and respect. Our family room allows for a relaxed, comfortable setting for your whole family to be together during this difficult time. 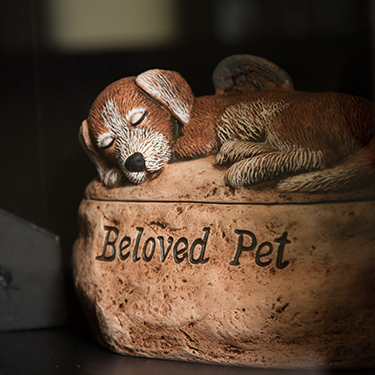 We understand that losing a pet, no matter the reason or timing is difficult. Our team strives to compassionately support you and your furry loved one when you have to say Goodbye.